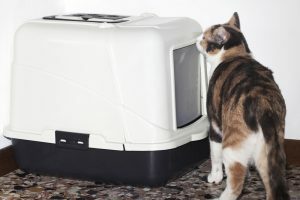 Six Ways to Get Your Cat to Like Using the Litter Box | Welcome To Your Pet Space! Do you have a problem with your cat not liking their litter box? Not only does it make a stink around the house, but it’s such a hassle to clean up after a cat that hates litter! Fortunately, there are ways to remedy that. So read on as I show you the six ways to get your cat to like using the litter box. 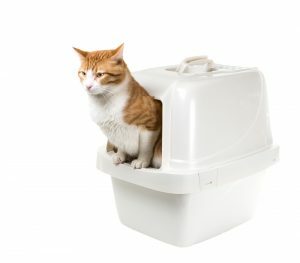 One reason as to why your cat may not like the litter box is because he has competition with other cats, or because he isn’t able to access the one you have at all times. It’s best to have one litter box per cat and an extra one just in case. This is for convenience for your cat. And it will lessen the tension if you have cats who have to compete for the litter box. After all, some cats don’t like to share! Another reason why your cat isn’t fond of his litter box is because of its location. Make sure that you put it in a strategic area where it is easily accessible but low in traffic. Cats enjoy their privacy and would want something they can quickly go to when they need. Do not place the litter box near their food (who wants to do their job near where they are eating?) and keep it on the ground floor if they are unable to climb up the stairs. This litter box is a bit of a tight fit. It is best to have the right litter box that your cat enjoys. 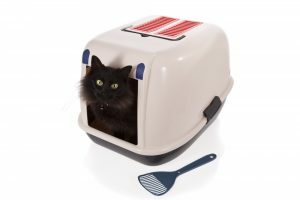 It should be comfortable for him to sit in, where it can accommodate your cat’s body while making it easy for your cat to go in and out. You may want to have something with a lid that contains any spilling or odors, but your cat may also prefer the open space. See what works for your cat to ensure comfort and to encourage him to do his business there. It may not be the litter box your cat hates, but the cat litter itself. The cat litter shouldn’t only benefit you regarding containing odor and clumping, but it should also be easy on your cat’s paws. Opt for softer cat litter that has a fine texture, rather than large and chunky pieces. Consider the scent as well, since cats have sensitive noses and want something without any strong aroma. No one likes to do their business in a dirty bathroom, so your cat won’t like it when he enters a messy litter box. Through cleaning the litter box and scooping out litter often, it will encourage your cat to use it. Sanitize them regularly as well and wash it with hot water and a product that cleans enzymes once a month. Refill the litter and replace the litter box when needed. Nobody wants a dirty bathroom! There may be times that your litter box isn’t the problem, but your cat himself has a problem. He may have trouble excreting his poo, or he has had behavioral changes that can be a symptom of underlying conditions. If there are ever other issues with your cat other than his digestion (such as being angry easily, change in appetite, or excreting everywhere without control), then it’s time to take him to the veterinarian. He will be able to diagnose the problem to address the real issues at hand. I hope that this article on the six ways to get your cat to like using the litter box helped you out! So don’t wait any longer and start investing in the right products for your furry pet today. If you have any questions or would like to share your tips and experiences on how to get your cat to like using the litter box, comment down below. I would love to hear what you have to think. My name is Ella Woods, and I am 29 years old. 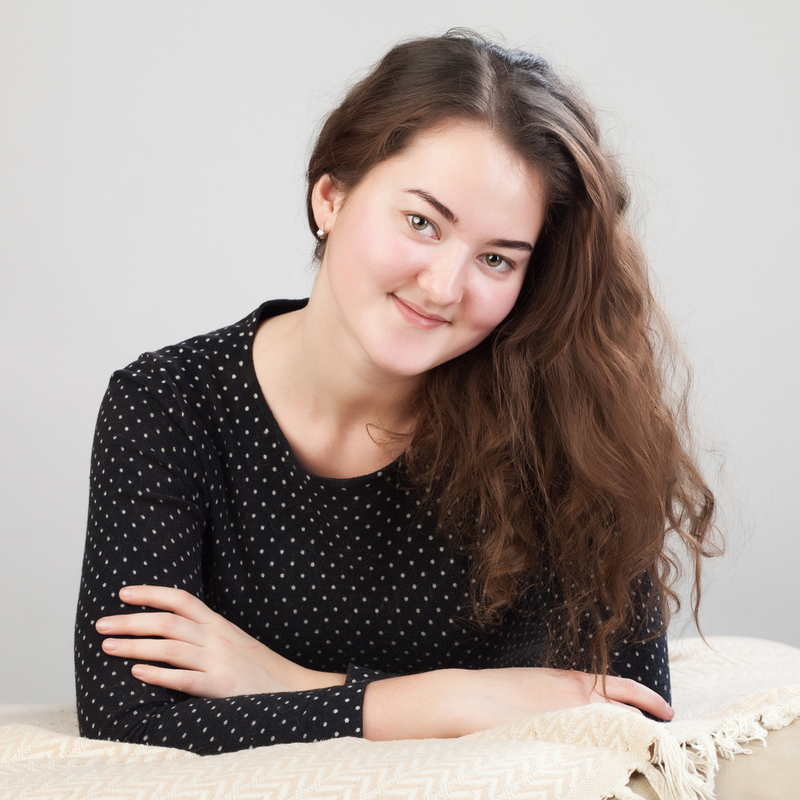 I am a stay at home mother and wife who writes in her free time so that I will not go crazy! The things I write about is the experience I go through personally, and I want to share that knowledge with you. Check out my blog, Housinghere.com!